The Quasiconsole explores this aperiodic assembly in wood. 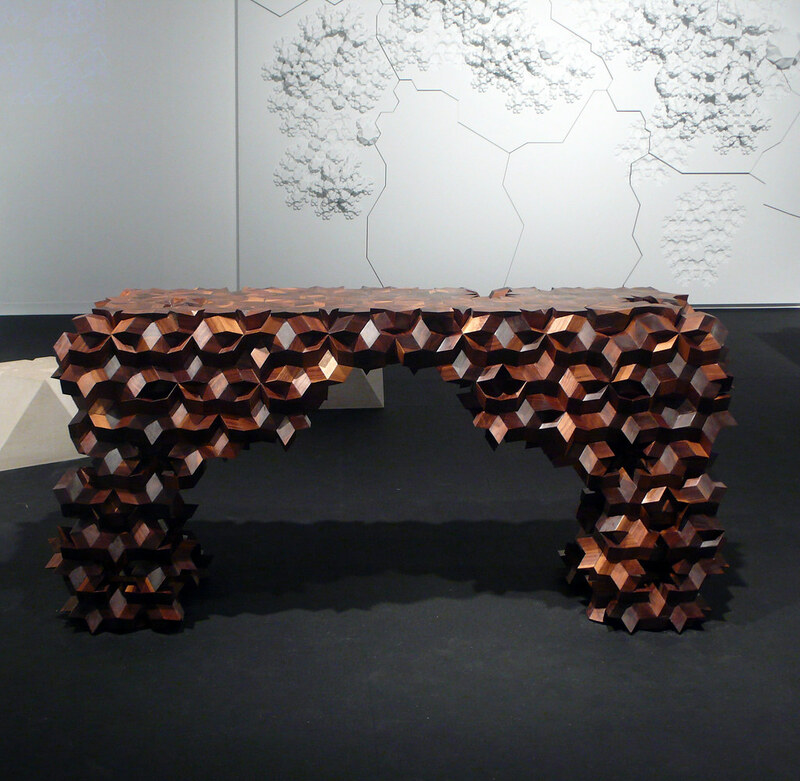 The table is constructed from hundreds of individual walnut blocks. Though the pieces come together in infinite combinations, there are only two kinds of blocks: a “fat” rhomboid shape and a “skinny” one. Unlike most console tables, both sides of the Quasiconsole are uniquely designed, making it equally suitable to be placed against a wall or in the center of the room.